Two thousand years have passed since Jesus came to save our world, and yet our world has gone even much more miserable than when Jesus left it. All you see around are poverty and oppression getting ever wider and deeper, as greed and corruption get ever bolder and meaner. In all of these, where is Jesus, the said Messiah of the world? What has he been doing? He is there locked up in church, content with spewing up spiritual words that nobody listens to, aiming to save the souls of men, not the world from its ever-deepening hunger and misfortune. And who locked him up there? The Christianity of Paul. If the Jews had crucified the Living Jesus, Paul’s Christianity had murdered the Risen Christ! 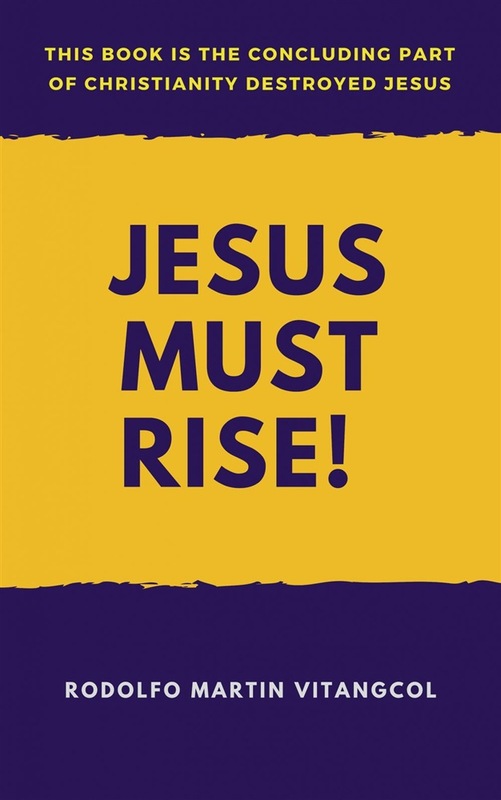 JESUS MUST RISE! For as long as Jesus remains buried beneath the lies and hypocrisies of Paul’s Christianity, the world is doomed to its inevitable destruction. And must Jesus rise now, while the “wood is still green.” Amen. Acquista Jesus Must Rise! in Epub: dopo aver letto l’ebook Jesus Must Rise! di Rodolfo Martin Vitangcol ti invitiamo a lasciarci una Recensione qui sotto: sarà utile agli utenti che non abbiano ancora letto questo libro e che vogliano avere delle opinioni altrui. L’opinione su di un libro è molto soggettiva e per questo leggere eventuali recensioni negative non ci dovrà frenare dall’acquisto, anzi dovrà spingerci ad acquistare il libro in fretta per poter dire la nostra ed eventualmente smentire quanto commentato da altri, contribuendo ad arricchire più possibile i commenti e dare sempre più spunti di confronto al pubblico online.